Parkin Electric Electricians have been serving the Oregon City area for 19 years! To show our commitment to the Oregon City Community, we have become a Business Leader Sponsor of the “Buy Local Oregon City” Campaign. We are making a commitment to buy local when possible, and to raise awareness of buying locally through our business and community activities. Parkin Electric has long supported this concept by providing discounted services to Oregon City residents and business. 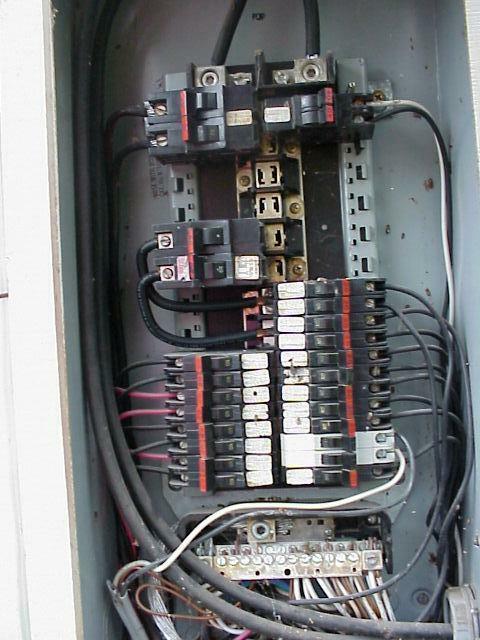 Call us and find out how you can save on electrical repairs and installations. The mission…. FIND SOME TUNA! We needed to get our game finely honed again before the start of our heavy trip schedule, so we ventured through the hole with just the two of us and our able assistant Lisa! Lisa has been with us on at least 2 or 3 other expeditions, and really knows the ropes, but apparently has something of a “reputation” on the docks, as we found out Sunday. As we were headed out, the captain of the 50′ charter fishing boat the Endeavor called us on the radio because he had heard that Lisa was fishing with us…. He proceeded to give us a polite warning, and to share a story with us about the time he had Lisa on board his boat Tuna fishing. As the his story goes…. he had a full load of passengers on board and landed into a really thick school of Tuna, when Lisa proceeded to rather “dominate” the deck, and pull in Tuna from a multitude of rods (hers as well as those of most of the other passengers), racing from rod to rod, totally ignoring the rest of the fishermen! He said that of the approximately 60 tuna landed that day, Lisa personally accounted for a vast majority of them! Now Lisa’s story (rather feeble we think….) is that all of the other passengers were sea sick, comatose and unresponsive, laying all over the deck of the boat, and she was the only responsible person able to harvest all those willing Tuna! Hmmm….. who to believe? More on that question later in our little saga…. So we headed out with Lisa to a spot that the satellite charts (we subscribe to two different commercial services which shows us both temperature and water clarity conditions) showed should hold Tuna. At about the 27 mile mark, just short of our plotted target, the conditions really started to look good, so we slowed the boat down to Tuna trolling speed (about 8 mph ) and threw the gear in the water. Then the trouble began…. Almost immediately we get into fish, starting with one of the hand lines, and moving through the rest of the gear. We are never able to move from a spot over about a mile across because of the heavy concentration of fish. Around and around, back and forth we troll, fish are coming over the rail at a remarkable pace when Dave and I begin to notice that we are getting very little “catching” time, and are pretty much relegated to working the hand lines, putting fish away, cleaning up, and the occasional rod if Lisa is otherwise occupied hauling another Tuna into the boat on one of the other rods…. Hmmm….. Now mind you this is all one day before our warning from the charter captain, so we were a little unsuspecting on what was happening to us…. By about 11:30 we have our self-imposed limit of 24 very nice XL (20-25 lbs) Tuna iced and packed away and are headed back to port. On the drive back to port we start recounting the day, and realize that together Dave and Wade have only landed about 3 fish apiece and that dog gone Lisa must have brought in 18 fish herself! Obviously her Mommy neglected her education in “sharing”…. With Lisa again joining us on day 2 of our exploratory expedition, we head out through the narrow Depoe Bay opening and point the boat in the same direction as the previous day. On Saturday we heard that we had overrun the fish a bit, with boats catching large numbers of fish at around 17 miles. With this in mind we deployed the gear at around 18 miles and trolled for awhile with limited success. It was obviously a different day than Saturday…. We moved around, and out, to about the 30 mile mark, scratching up a fish here and there, before finally turning the boat toward home with 7 more fat 20-25 lb Tuna in the fish boxes. Stopping by the crab pots, we pulled into the bay to process our catch, eat some crab, and clean the gear and boat. This was a seriously fun weekend, and we want to thank Lisa for her cheerful company! You are a good sport Lisa! Average sample of our catch! Crab with an attitude - after pinching Lisa! July 4th 2010 Season Opener! 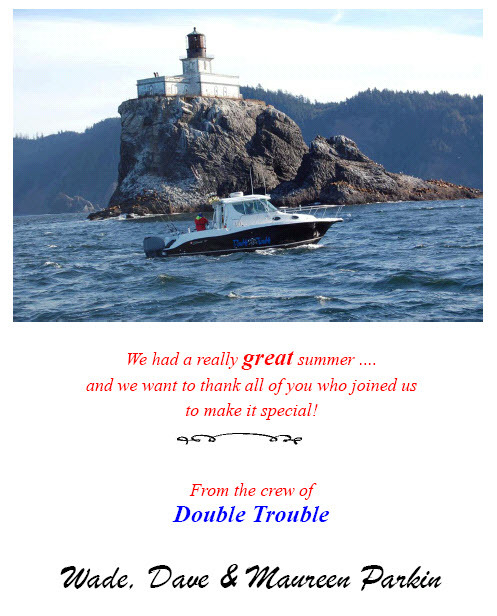 Family and friends shared a great 4th of July four day weekend boating and fishing out of beautiful Depoe Bay! The long weekend started out on Friday, with a last ditch attempt at Halibut, before the season shutdown until late summer. We (Don, Maureen, Dave & Wade) slowly (the ocean was fairly “sporty”…. meaning a little bumpy) ventured out to a spot called the “Rock Pile” which is about 17 miles west of Depoe Bay. This area is normally thick with boats, so when we only saw a couple of other boats we assumed that (a) the inclement seas kept everyone in port, or (b) there were not many Halibut to be had. We fished for around two hours and managed one nice Halibut, but the bite was off, so we headed east trolling for Salmon. We trolled a number of normally enticing Salmon offerings for about five miles, before finally conceding defeat and heading in for an early day. We had heard reports that one of the other sport boats in the harbor had ventured out 75 miles and brought home the seasons first Albacore Tuna! YEAH!…. just come in a bit closer little Tuna! This day brought good friends Jesse and Leah from Silverton to join Maureen, Josh, Dave and Wade for a day on the Pacific! The ocean had settled down a little from the day before, and the winds were calm, so out we went prospecting for the illusive Salmon. First order of the day was a quick run north to drop our Crab pots. After we splashed our four pots, we dropped the Salmon lines and trolled west to try to find the Salmon. Nothing…. so we pulled up and ran a few miles off shore. The water temp was very nice (about 51-53 degrees) but no salmon, and none that we heard about on the radio. With no prospects of salmon to be had, we turned our attention to Lingcod and other bottom fish. We put a couple of Lings and some Rockfish in the box, picked up our pots which had some delectable Dungeness Crabs, and decided to get our erstwhile sailors back on hard ground. It was a great day! This morning we woke up to another calm morning. Hmmm…. “I wonder how far off shore the Tuna are?” asks Maureen. Ok, that’s it…. we’re going! We headed out through the opening and set a course of 270 degrees west, and away we go! At about the 18 mile mark we started to see things coming together, (warmer and clearer water) not great, but possibly fishable, so we stopped to do a little prospecting. FISH ON! In short order, our first two Albacore of the season are thumping on the boat’s deck. We fished a little while longer, but with nothing much happening, we decided to pick up the gear and move a few more miles out to find some better water (you just know there is a huge pile of fish just waiting for you a couple more miles out….). We stopped, but nothing, so we moved on. Out another 5 miles or so we stop, again with the same results…. nothing. Again and again we stop, sample, and move on. We do this until we have hit the 65 mile mark. Maureen is really questioning whether Dave and I will ever stop heading west, so we reluctantly turn the boat around and head back east. Running back, we got to a spot just about where we started in the morning, when Maureen notices a rather drastic water temperature change, so we stop and in the lines go…. FISH ON! Oh man, all heck breaks loose! At one point, we have 5 fish on with only 3 of us to handle ’em! We have lines in the motor, we have lines under the boat, we have lines tangled around each other, we have Tuna laying all over the boat, and we have a HECK of a mess, and WE ARE LOVING LIFE! Wow, what a spot. Every time we start to deploy our gear, FISH ON! It took us 6 hours to catch the first 2 fish, and something inside of 1-1/2 hours to catch another 10. At this point we decide to call our little prospecting experiment a resounding success and point the boat back to the beach. Good call on the stop Mo! Another a great day on the ocean! After all of our “hard work” yesterday, we are ready for an easy day today. We (Maureen, Dave & Wade) talk our Mom (Margaret) into joining us for a day on the ocean. After a feeble attempt at some in-shore Halibut and Salmon, we decide to turn the rest of the day into a pleasure cruise. The day is warm and sunny, the seas are calm, so we head south and go into Yaquina Bay for a little sightseeing around the bay and at the Newport waterfront. After puttering around looking at the boats and people, we head back out into the ocean. We cruise north close to shore, stopping for pictures at the Yaquina Head Lighthouse, Cape Foulweather, and other points along the coast on the way back to Depoe Bay. Back on shore we finish out a long and fun filled weekend cleaning and packaging our fish, and cleaning up the boat to get it ready for the next weekends onslaught. What a great way to spend the holiday weekend! Parkin Electric is excited to be featured in the current June 2010 Eaton Corporation ECCN Member Spotlight! We have been a member of the Eaton ECCN (Eaton Certified Contractor Network) for a little over a year, and have already benefited from this association. Being a member of this network will pay some long term benefits as we avail ourselves of the pricing, training and technical expertise of this industry leading company. We were originally interested in furthering our relationship with Eaton because we have had a long and successful history with their people and products, and feel that aligning ourselves with this progressive and innovative company will further enhance the strengths and capabilities ofParkin Electric as we look toward expanding and growing our company. Thanks for the spotlight Eaton! Parkin Electric has 17 employees and 10 service/support vehicles and are a third (almost fourth) generation company based in Oregon City, OR serving Oregon and SW Washington. Their long and positive relationship with Eaton has been a plus for them and they feel that by aligning their company with Eaton and becoming knowledgeable about Eaton products they will reap long-term benefits. Their involvement with many trade organizations is also a plus for their business in that they have been selected to serve on several national advisory council committees. In this way they have been able to increase their exposure to a wide range of ideas and networking opportunities. Having successfully built their reputation for the past 60 years they are in the process of implementing a plan for significant growth for their company for the upcoming years. They feel confident that their solid relationship with Eaton will strengthen and enhance their long term goals. Parkin Electric is Represented on Two National Committees! Parkin Electric is excited to announce that not one, but two of our folks have been selected to serve on national level committees. Maureen and David Parkin were both recently chosen to serve on committees for IEC (Independent Electrical Contractors Association) on the Safety and the Codes & Standards Committees. The Safety Committee is an advisory committee that develops and maintains IEC’s safety information and education programs, including the SPARK program, and provides liaison support with OSHA and other safety-related organizations. Maureen also leads our Health & Safety Programs here at Parkin Electric, where she has been responsible for leading our company to an exemplary, industry leading, safety record. The Codes & Standards Committee is an advisory committee that monitors IEC’s participation in various industry codes and standards panels, reviews and recommends changes in codes and standards documents, and communicates them to IEC members and outside bodies. Dave has also served in a leadership capacity for several other industry organizations including: International Association of Electrical Inspectors (IAEI) for 3 terms, State of Oregon Electrical Code Change Committee member (2002, 2005, 2008) as well as currently serving on the State of Oregon Electrical Technical Committee. Congratulations to both Maureen and Dave, we’re sure they will do a great job and contribute much with their leadership and participation on these important committee assignments! 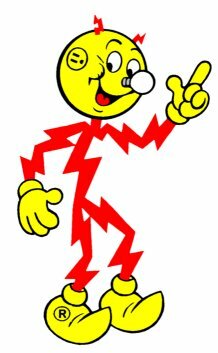 Reddy Kilowatt is drawn as a stick figure whose body and limbs are made of lightning bolt symbols and whose bulbous head has a light bulb for a nose and sockets for ears. Reddy was created at the Alabama Power Company by Ashton B. Collins, Sr., and debuted March 11, 1926. He was subsequently licensed by some 300 electrical companies in the U.S. and abroad looking to sell homes on using the relatively new technology. He was featured in a 1947 comic book and movie produced by the studio of Walter Lantz. 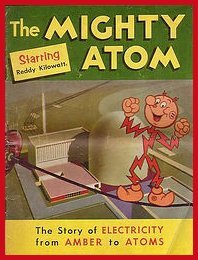 Reddy Kilowatt was a frequent presence in publicity material until energy conservation replaced energy production as a national goal with the growth of the environmental movement and the OPEC oil embargo. He is now rarely seen. 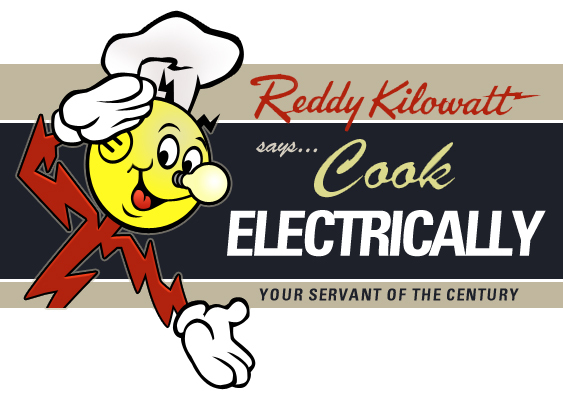 In 1998, Reddy was bought by Northern States Power Company, which created an entire subsidiary, Reddy Kilowatt Corp., to manage the cartoon. That company later created Reddy Flame, a character promoting natural gas. 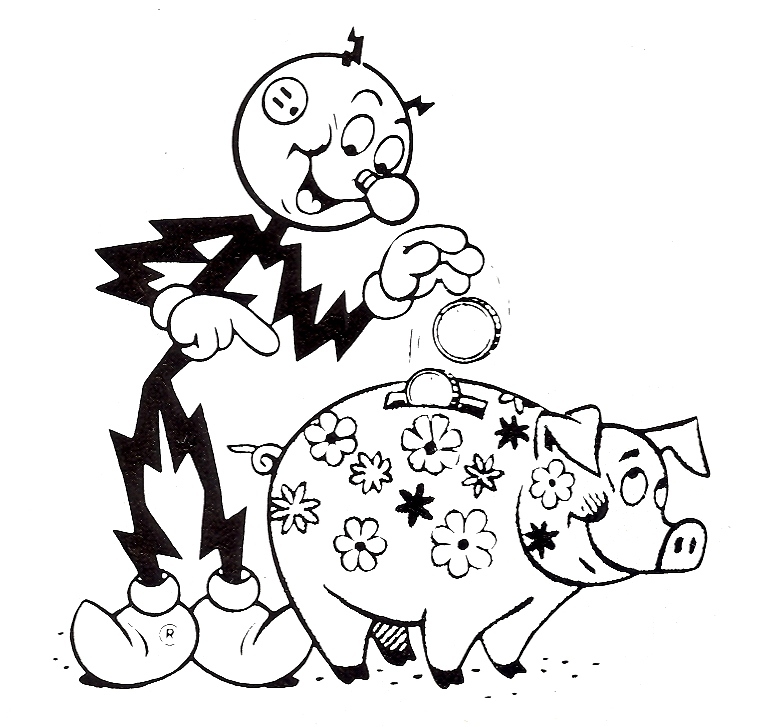 While Reddy Kilowatt was created as a mascot for investor-owned utilities, a similar character – Willie Wiredhand – was created about the same time for use by rural electric cooperatives and public utility districts (evidently, much to Collins’ annoyance). 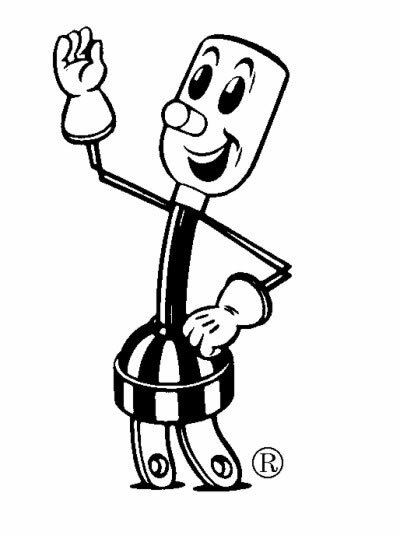 Willie was also a stick figure, but with a lamp socket for a head, an electric plug for legs and feet, and wore gloves similar to those worn by farmers. 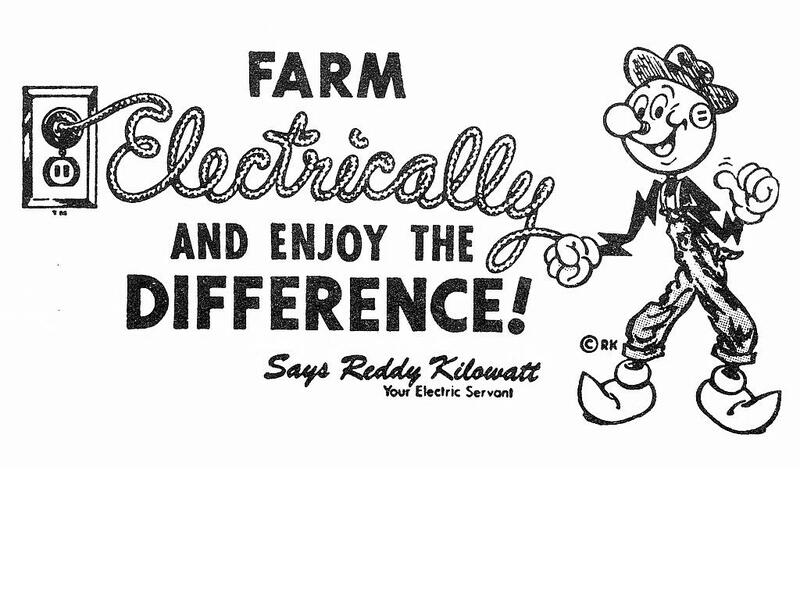 We can sure remember the PGE advertising using Reddy Kilowatt, can you?. It’s kind of fun to look back and see how things have changed, from promoting the use of electricity, with the focus now on conservation! Take a look below at some more fun Reddy and Willie images. Parkin Electric Offers In-House OSHA 10-Hour Construction Safety and Health Course. Because safety is our #1 concern, we recently provided all of our employees an opportunity to take the OSHA 10-hour Construction Safety and Health training course. We invited Vaughn Pugh from Integrity Safety Services to bring his training program into our office on a recent Saturday for an all day, comprehensive session. Vaughn did a great job in aligning his training with a multitude of real world examples that our folks could relate to in their everyday work activities. Parkin Electric Safety Manager, Maureen Parkin summed up the reason for our companies investment in this specific training course, and safety training in general, by stating “We offered the OSHA 10-hour class to all of our employees to give them a broad based safety training experience, and our hope is that taking the class as a group, will promote a team approach to working safely together. Also, having all of our employees trained in OSHA 10 will give us more credibility as a progressive and forward thinking contractor. Our customers can feel confident that we make safety a priority”. In answer to the first question, in our research, we have not been able to verify any official product recall on the Federal Pacific Stab-Lok circuit breakers or panels. However, on March 3rd 1983 the U.S. Consumer Product Safety Commission (CPSC) released a report basically stating that commission testing confirmed that certain FPE Stab-Lok circuit breakers failed UL calibration test requirements. However their limited testing was insufficient for the commission to accept or refute whether the breaker failures lead to a hazardous situation. We can provide the complete CPSC report for your review. While it is not quite correct to call a non-tripping breaker a “fire hazard”, the FPE Stab-Lok breakers (as are others) are primary safety devises whose function is to stop certain electrical sequences that could, if allowed to proceed, lead to fire in a building. By their own (FPE) admission, the breakers in question do not fully comply with UL requirements, and there is some evidence that FPE falsified testing procedures and results. It is important to note that UL itself did not actually perform the compliance testing on the breakers, but only monitored the production and testing done at the FPE factories. As UL standards and listings are intended to provide evidence that the product is “suitable for the purpose” under the provisions of the National Electrical Code (NEC) this is troubling to us. The table below which illustrates the frequency of failures of the subject breakers. Based on our research, personal knowledge, and the associated failure rates found, and because there is no safe or practical way to verify correct product operation, we believe it prudent to replace all FPE Stab-Lok panels currently in use when practical. While we do not necessarily believe (in normal situations) that this is an “emergency” situation, replacement should be strongly considered if any panel repair or modifications are made or required. * Replacement cost is based on a normal panel only replacement, and is approximate. Individual installations may vary. We are now an Eaton certified Contractor! We are very excited to announce that we are now an Eaton Cutler-Hammer certified contractor! This alliance brings us access to a huge catalog of new and exciting products, engineering expertice, and some great pricing.